ST. LOUIS (October 13, 2015) – Equifax Workforce Solutions, a leader in human resource, analytics and verification services, and a business unit of Equifax Inc. (NYSE:EFX), today announced the launch of its State Compliance Solution, a flexible, secure and central portal to help employers electronically manage critical state-specific compliance needs for new hires. Delivered through the company’s Compliance Center, this new offering enables employers to reduce cost and risk by simplifying their processes as they strive to comply with the various state employment laws. As the number of state employment laws continues to grow, so do the number of notification forms employers must distribute, have signed by new employees and retain. This can present a challenge for employers, especially those operating in multiple states, who can be overwhelmed by the number of forms they must manage or are unaware of the evolving state-level notification requirements impacting areas including wages, sick leave, commission contracts and more. They must not only keep up with changing requirements, but also be able to interpret the regulations and distribute the appropriate forms to disparate locations – something that is typically a time-consuming process. As state compliance forms are usually excluded from electronic onboarding solutions, companies are often unable to achieve a fully paperless process. However, failure to comply can lead to administrative scrutiny, investigations and even class action law suits. To address these challenges and help companies better manage the onboarding process, Equifax Workforce Solutions introduces its State Compliance Solution. Through this flexible, secure and centralized portal for managing state-specific compliance needs electronically, employers can implement an automated approach to complete state new hire notifications and create a more efficient onboarding process for the company and its new hires. • Improved employee experience: New hires are directed to a secure website where they can acknowledge the state-specific forms online, prepopulated with employee data gathered during the onboarding process. As a result, employees can spend significantly less time completing forms. • Progress and compliance tracking: State Compliance Solution tracks the completion of forms, and the forms are then stored electronically to help ease compliance and audit concerns. Employers can also easily view actionable reports to track progress and compliance. • Value derived from increased compliance: A fully integrated and streamlined solution, State Compliance Solution helps companies achieve real savings through administrative efficiencies, and mitigate risk by automating the notification process and providing a clear audit trail. • Continuous support: Equifax Workforce Solutions monitors various notification requirements and updates the forms accordingly, while identifying new notification requirements and developing forms as appropriate. This provides clients an additional level of support as the requirements around state notifications continue to evolve. 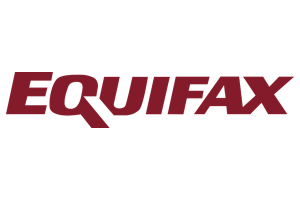 Equifax Workforce Solutions will demonstrate its cutting-edge innovations at the 18th Annual HR Technology Conference & Expo, taking place at the Mandalay Bay Hotel & Casino October 18 – 21, 2015. During exhibition hours on Monday, October 19 and Tuesday, October 20, visitors to Booth No. 1527 can learn more about the company’s industry-leading solutions for I-9 Management, ACA Management, Employment Verification Services, Tax Credits and Incentives, Compliance and Onboarding, and more.